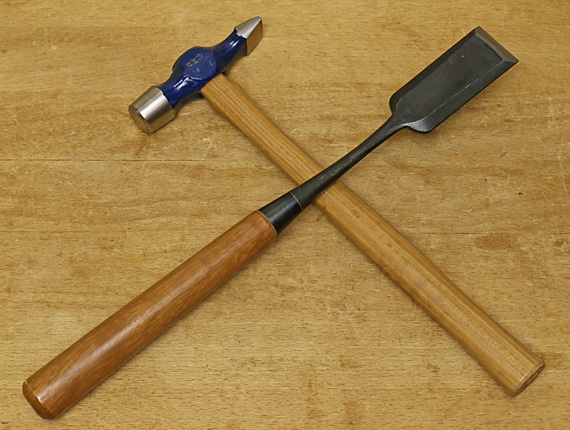 Good news for hand tool woodworkers has arrived from the West coast. As we all know, it is very difficult to sell high quality craft work at a price commensurate with the skills and dedication imbued by the craftsperson, particularly when a great deal of handwork is involved. Woodworkers are particularly troubled by this. To remedy this injustice, a bill was introduced last week in the California state legislature to ensure fairness in the pricing of handmade crafts. It is the product of much research and planning among legislators and leaders in the crafts community, and all are excited that handwork artisans will finally get their fair share. The rationale cited by those supporting the pending legislation is quite compelling. First, handcraft is an important part of American culture and must be preserved and encouraged. Advocates claim precedence for this by noting the Japanese government’s role in the preservation of traditional crafts. Second, of economic concern, small shop artisans are not receiving a fair living wage for their efforts and talents. If you’ll excuse the metaphorical pun, the failure of the invisible hand of the market will be corrected by the fist of government justice. Finally, of environmental concern, handwork produces a smaller carbon footprint than machine work and reduces landfill waste because the products last much longer. Sources in the legislature say the administration of the law would be remarkably simple and work as follows. If a craft article is produced with at least 79% of the labor done by hand, on a time basis, the article must be priced to yield an effective hourly rate of at least $19.37 for the maker. (The hourly rate is still being vigorously debated.) If it cannot be sold for this price, the state will make up the difference directly to the maker if the price is set or adjusted by the maker, or to the purchaser in the form of a rebate if the maker accepts only the state-mandated price and the purchaser can demonstrate financial burden. Each craftsperson in the program would have to be certified as a hand maker by a new state agency, tentatively titled the Handmade March to Equality Restitution (HAMMER), staffed with experts in the fields of business and craftwork. Certification will be granted after a detailed inspection of the maker’s shop along with video documentation of the maker at work, and be renewed biannually. Of course, only high-end craftspeople who are consistently offering work that is deemed to be a significant contribution to society will be accepted. Advocates are currently trying to include special considerations for crafts sourced from indigenous peoples and other select groups. Bids for the development of an appropriate logo for the program have already been solicited. How about something like this? The bill was introduced in the state House by Rep. Ino Beternyu, while a companion bill in the Senate was introduced by Sen. Duwut Itelia. Though many details remain to be ironed out, the crafts community and the public at large have been reassured that the best experts are working on every imaginable detail and the roll out will be unbelievably smooth.
. . . Once again, the government is here to help, and as Milton Friedman rolls over in his grave and takes note of the date of this post, I ask: Seriously, did I have you going for just a little while? I was with you on this until I got to “…..Of course, only high-end craftspeople who…” Sounds a bit elitist to me. Oh, man! My blood pressure was spiking because I forgot that today is April Fool’s Day and unfortunately, it is totally believable these days! Good joke! A really yuge win for the craftsperson! Awesome. And yes, you had me… for a moment. The legislator names helped me figure it out. Great piece. Hi, I’m from the government. I’m here to help you. . . .
Love that first picture – got a real kick from that. 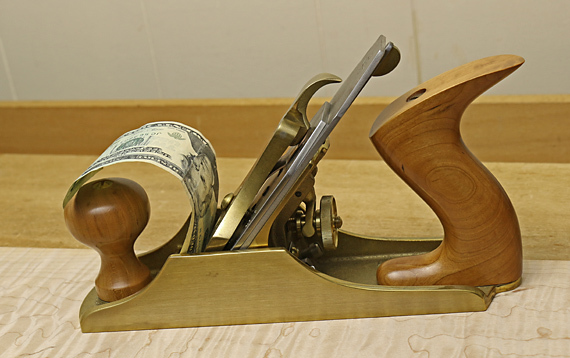 Which plane is that in your photo that takes shavings of $20s? It would seem that the grain direction of the wood required to take a $20 bill as a shaving would have to be pretty zany. What effective angle of attack do you find works best to achieve that? I can’t reveal everything so will only say that the blade has to be unbelievably sharp to produce those shavings, but it makes sweeping up the shop so much fun. I hope you enjoyed the April Fool’s post. Any resemblance of this fictitious blog post to actual events or persons is purely coincidental – and, alas, possible and most unfortunate. Good try. But for California to add a new government agency was a good one.